The Chorus decorative pillow is made of 100% velour. 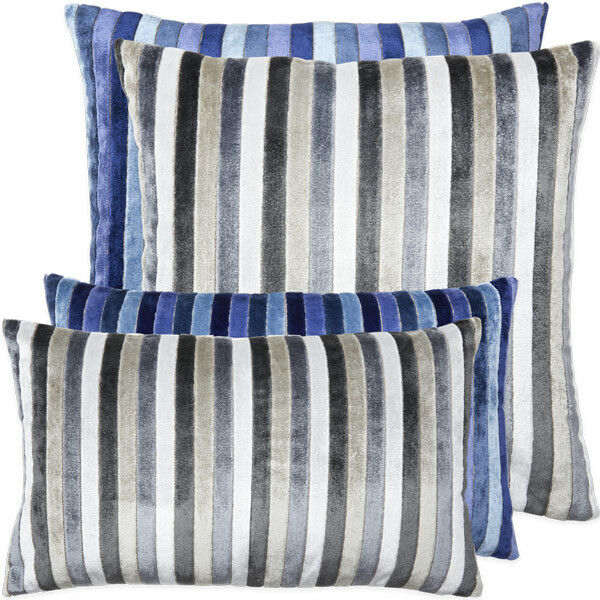 This vertically striped pillow is offered in gray or blue colorways. A modern design with a soft touch.